A young Jewish boy named Jason, is at the center of a new Atlanta production about a married man who comes out as gay in 1980s New York at the height of the HIV/AIDS epidemic. 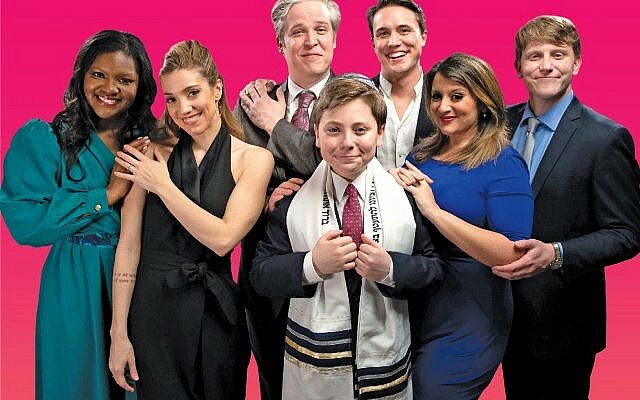 Photo by Kevin Harry // Actors in “Falsettos,” including Alex Newberg (center) dressed in a kippah and tallit. Casey Gardner Photography // Newberg plays the son of the main character in the controversial play. Casey Gardner Photography // Actors Craig Waldrip, Jordan Dell Harris, Ben Thorpe and Alex Newberg. 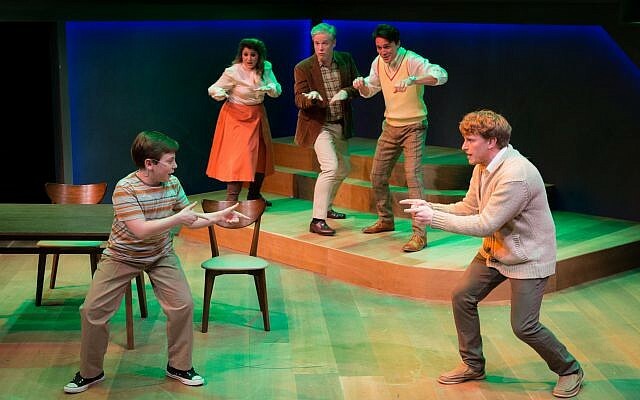 A young Jewish boy named Jason, played by Alex Newberg, is at the center of a new Atlanta production about a married man who comes out as gay in 1980s New York at the height of the HIV/AIDS epidemic. 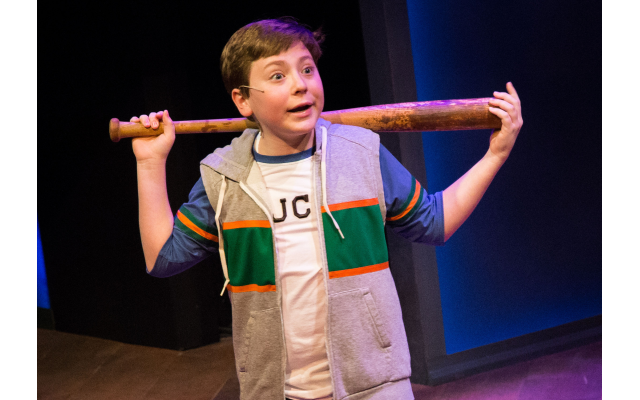 Jason is the son of the main character in “Falsettos,” the latest production at Actor’s Express, which began March 23 and runs through April 28. 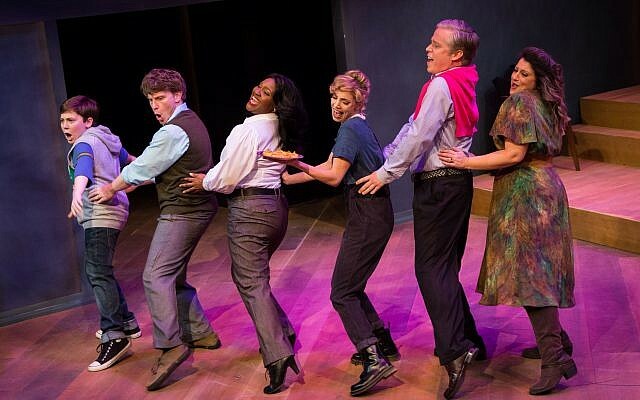 The musical won two Tony Awards for Best Book of a Musical and Best Original Score. As the musical progresses, Jason goes from being insecure about his own sexuality to embracing a full-fledged love of girls and preparing for a bar mitzvah. Newburg, who is 15, acclimated well to the role, which he says pulled from his Jewish background. This is Alex Newberg’s first non-ensemble professional theater role. 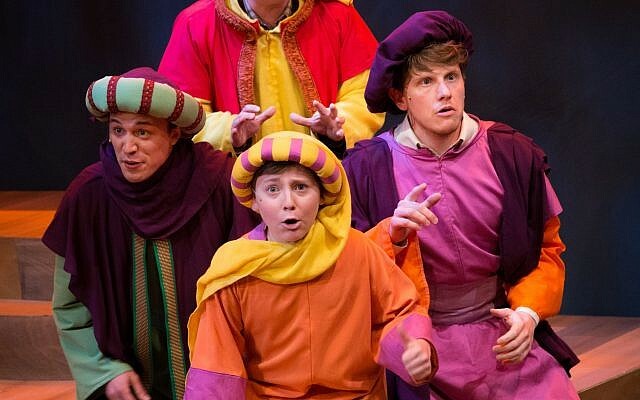 The LGBTQIA themes in the production are usually reserved for mature audiences, but when a young boy is involved, extra care is taken to ensure he can handle the content, says director Freddie Ashley. 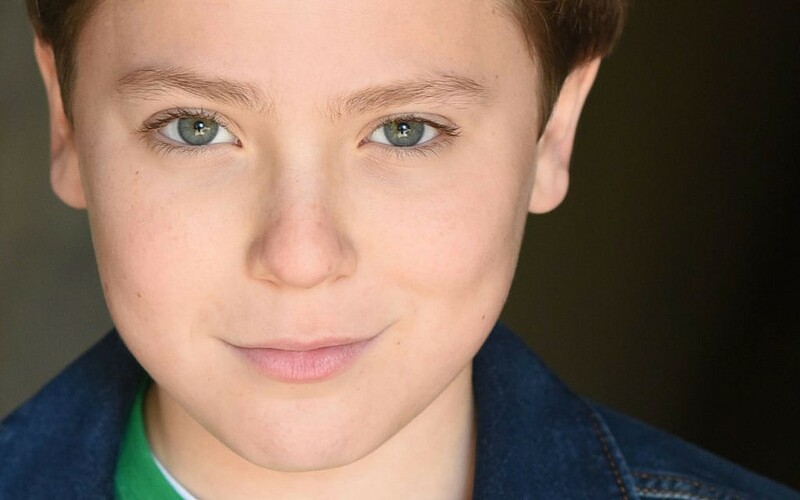 Newberg is one of two young actors alternately playing the role of Jason, the son of main character Marvin. Newberg attends Holy Innocents’ Episcopal School after spending many years at the Davis Academy, where he learned the majority of his Hebrew. He brought his skills to the role during scenes in which he practices a prayer in Hebrew and chants his Torah portion at the bar mitzvah. During rehearsals, Ashley says Newberg was the go-to person for portraying an authentic bar mitzvah scene. Casey Gardner Photography // Actors Ben Thorpe, Jessica De Maria, Jordan Dell Harris, Kandice Arrington, Kylie Brown and Craig Waldrip. This is Newberg’s first non-ensemble professional role, and Ashley described him as very skilled and mature. Newberg, who maintains a regular class schedule while performing in “Falsettos,” also moonlights as a part-time magician. He sparked an interest in magic at the age of four and developed his skills from there. Now, he performs at various b’nai mitzvah and parties. He says he researched the role of Jason and eventually chose to audition because of the complex character. Jennifer Gelder, Newberg’s mother, says she didn’t have an issue with the content because of Newberg’s maturity, stating, “He’s handled it beautifully.” In general, she says her family is open and accepting of all kinds of people and she spoke with her son before the audition to make sure he knew what “Falsettos” was about and that he was comfortable with the subject matter. 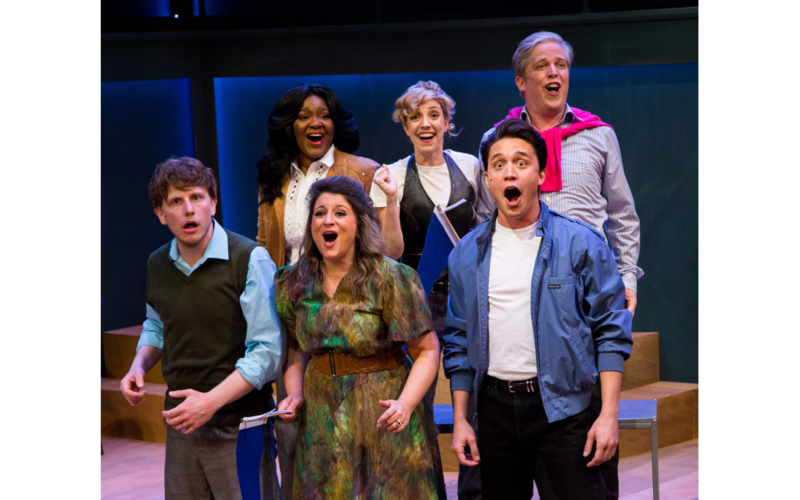 “Falsettos” is at Actor’s Express 8 p.m. Wednesdays through Saturdays and 2 p.m. Sundays through April 28. Actor’s Express is located in the King Plow Arts Center on Atlanta’s West side, 887 West Marietta St.